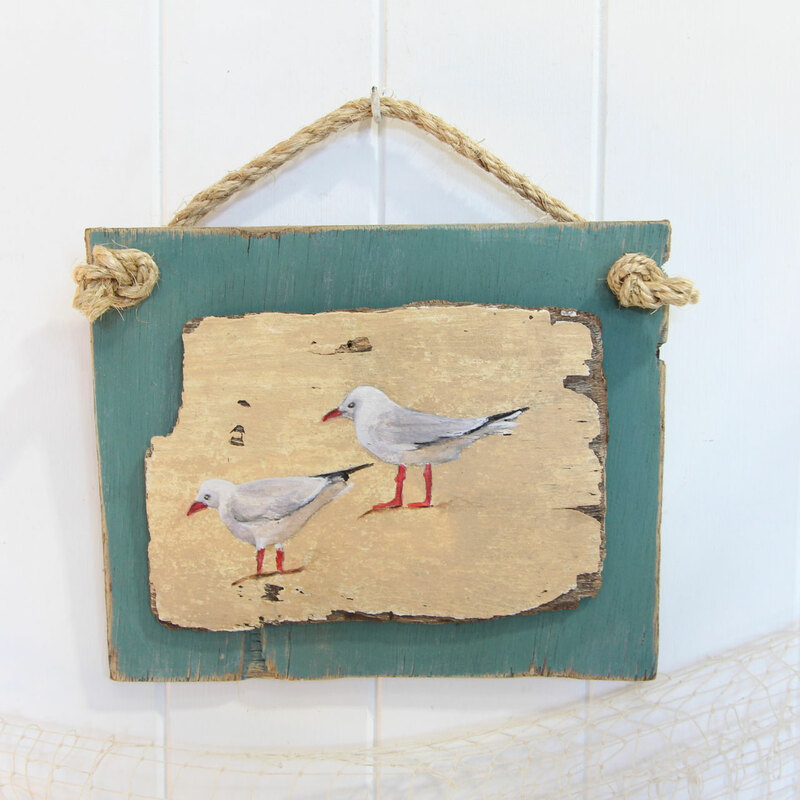 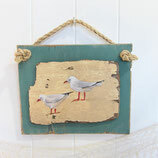 This sweet painting of a pair of gulls has been created using drift wood by a local artist. Two pieces of driftwood have been joined together, and rope has been added making it ready to hang. 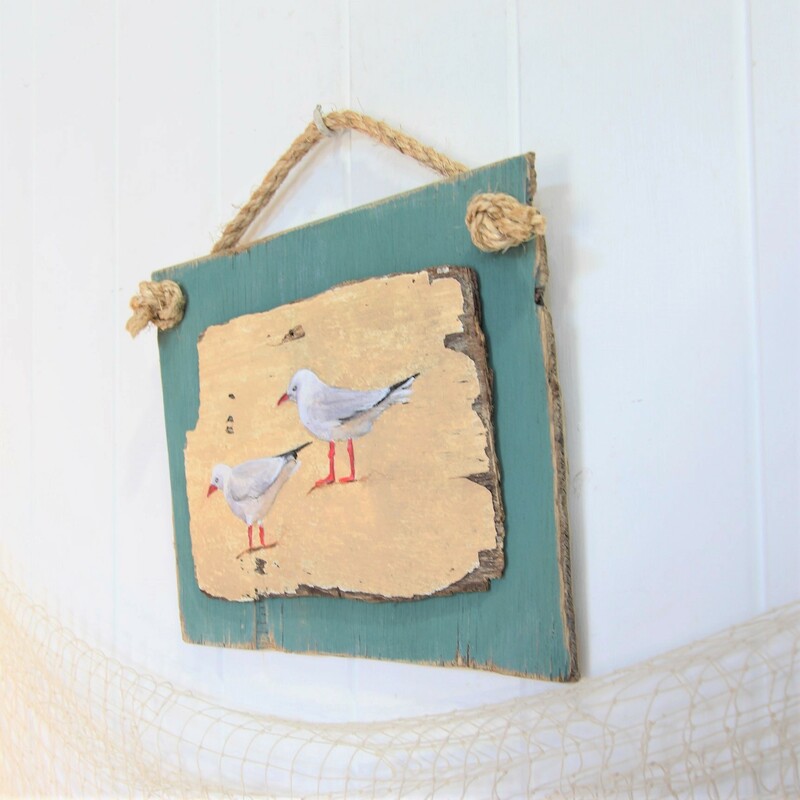 Perfect to hang in a seaside home.